Gunfleet Sailing Club held the final race in its Winter Series last Sunday 1 December in very pleasant conditions. A light offshore wind, blue skies and sunshine greeted the competitors, all eager to make the most of the last event of the year before packing their craft away until next season. Despite a fresh ebbing tide holding the boats back from the line both Robert Gutteridge and Andy Dunnett, sailing Lasers, were the wrong side at the start. 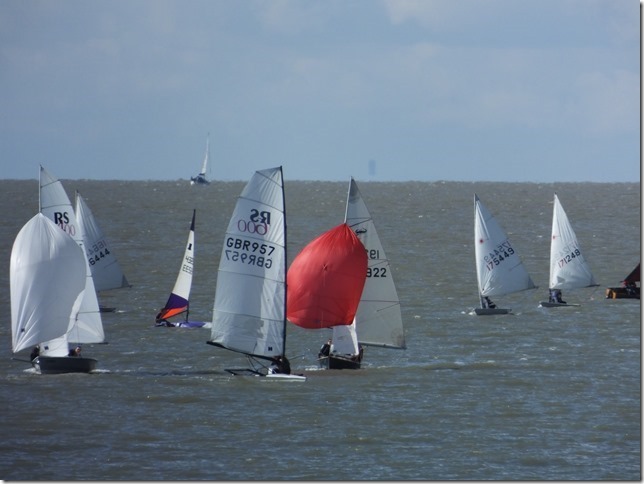 Gunfleet Sailing Club held the sixth and penultimate race in its Winter Series last Sunday 24 November with eleven boats taking part. As the competitors launched onto the flooding north-sea they were greeted by sunshine, blue skies and a gusting force two to four offshore wind. Using the tide to hold them back the helms nudged their dinghies up to the start line with many of them timing it to perfection. Paul Davis and Beth Ford in their RS400 and Andy Dunnett in his Laser put on the power and headed, at an impressive rate, on a reach to the Kingscliff buoy. Thirteen boats took part in race five of Gunfleet Sailing Club’s Winter Series last Sunday 17 November under overcast skies and a light northerly breeze. At a closely bunched start it was Andy Dunnett that led the fleet as they sailed, close hauled, up the coast to the Kingscliff buoy. For one or two the angle proved just a bit too tight for them and they had to put a tack in, resulting in some interesting positions early on. Cadet Harry Swinbourne made short work of the first leg, in his Topper, and rounded the mark in front of a number of Lasers. Winter Series Gets Underway - At Last! After strong winds and rough seas over the last few weeks prevented the first three races in the Winter Series being held, Gunfleet Sailing Club members celebrated the favourable conditions on Sunday 10 November which allowed them to get on the water. Bright sunshine and blue skies welcomed the competitors, along with offshore winds that gusted from force two to force six at times. Andy Dunnett got a flying start in his Laser with Paul Davis and Beth Ford hot on his heels in their RS400. 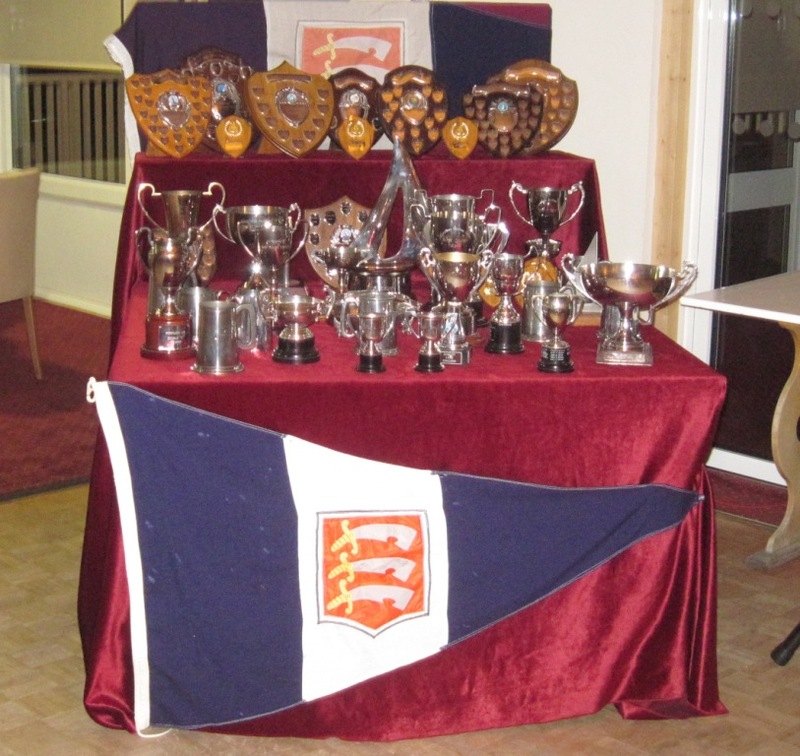 The reach to the St.
Gunfleet Sailing Club welcomed 75 members to its annual Laying-Up Dinner and Dance last Saturday 26 October, held at the Clacton on Sea Golf Club. Following an excellent meal Commodore Richard Walker looked back on a very successful year for the Club. Membership stood at an all-time record, the races had been very well supported and the social functions had seen “house full” signs on a number of occasions. The only events that had really suffered had been the cruises, due to the adverse weather on the day. Last Saturday 5 October the Cadet and Otter Sailing On Saturday, which has been running since May, came to a close with the final race in the SOS Class Points. Some 25 boats had taken part in the series and in a number of cases the overall positions really did all depend on this last race. 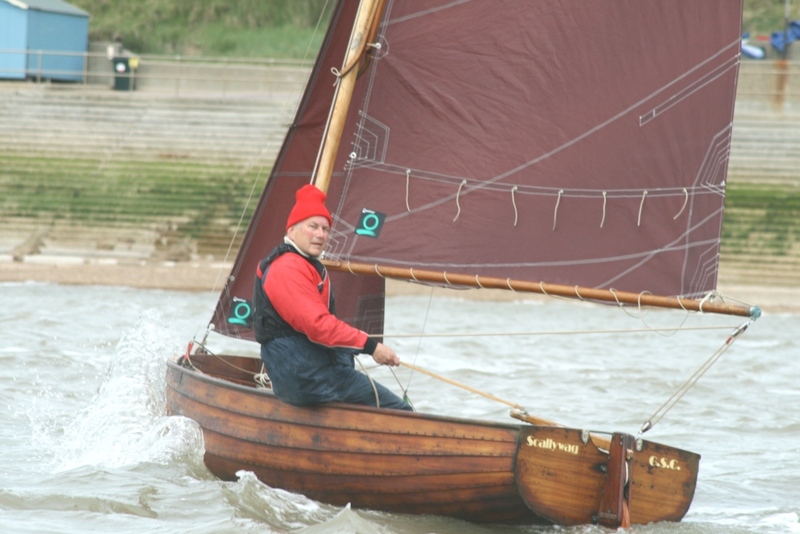 The first class to get underway was the Topper and Robert Gutteridge lead the fleet towards the Eastcliff buoy, followed by Harry Swinbourne, Tommy Martin and then Finn Harkin. Last Saturday 28 September the Gunfleet Sailing Club’s End of Season Cruise had to be cancelled due to strong winds but those popping down took the opportunity to get out for a sail in the vicinity of the Club under the watchful eye of a Rescue Boat. 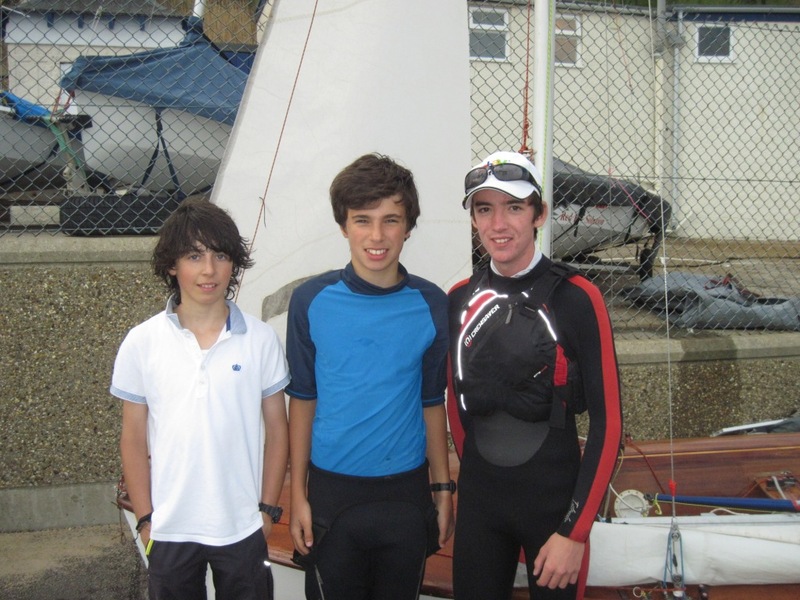 Gunfleet Sailing Club’s SOS race series for Cadets and Otters continued last Saturday 21 September with the fourth and penultimate race in their Class Points Series. In a light south-westerly wind the different classes were set-off at five minute intervals, starting with the Toppers. Robert Gutteridge lead the class but had Ben Richardson close on his heels as they beat down the coast to the Eastcliff buoy against a strong ebbing tide. The next class away was the Topaz and Beth Elliott and Daisy Swinbourne took a strong lead from the very start. 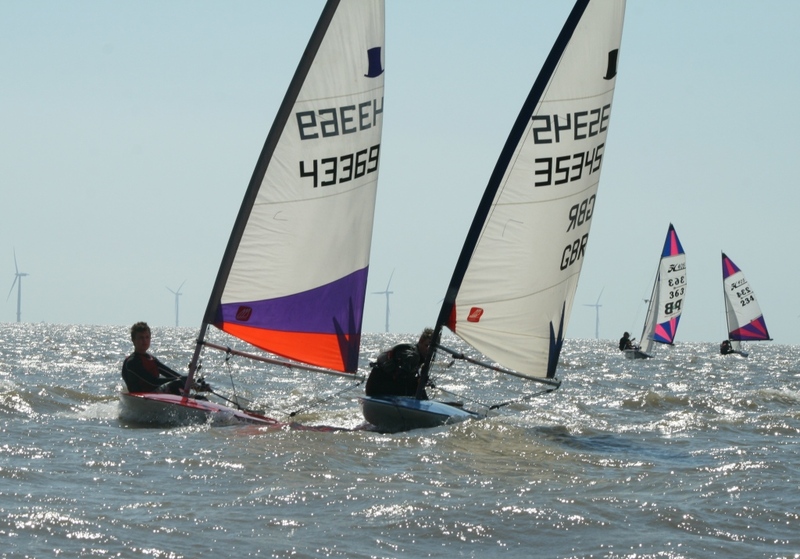 Gunfleet Sailing Club’s Cadets and Otters were busy playing catch-up on their class points racing last Saturday 14 September when they took part in the third of their five series event. A fresh offshore wind greeted the competitors as they took to the water. Six boats jostled at the start line in the Topper class and it was Robert Gutteridge that instantly took the lead, followed by Tommy Martin, Harry Swinbourne and Max Bates. Five minutes later the Topazes were away and Beth Elliott lead the fleet with Brogan Bates and Finn Harkin hard on her heels. Sadly yet another Cadet Sailing On Saturday had to be postponed on 7 September due to force seven winds and large seas, but the youngsters race series will continue over the next few Saturdays in order to play catch-up. Seventeen boats took part in Gunfleet Sailing Club’s Fleet Championship race in a gusting westerly wind but disaster struck early for Lesley Sacre when she capsized in her Sea Ranger shortly before the start. Cadet Ben Richardson was first to cross the start line, followed by Andy Dunnett in his Laser and Paul Davis and Beth Ford in their RS 400. Beating close to the shore, to mitigate the effect of the ebbing tide, the craft soon made the St. Michael’s buoy and then it was a broad reach to the AWS buoy. Members of the Gunfleet Sailing Club were not deterred by the grey skies and wet weather last Saturday 24 August and eleven dinghies, accompanied by the Club Rescue Boat, cruised down the coast and landed on a secluded beach at Jaywick where they had refreshments in the rain, before playing a game of rounders. A couple of squalls blew through while the boats sat on the beach but as the crews set off to return home, so the wind fell away, and the craft limped back with the ebbing tide taking them very slowly on their way. A group of frustrated Gunfleet Sailing Club Cadets could only stare out to sea last Saturday 17 August as winds reached force 7, putting paid to the planned fourth SOS Sail and Race Training session. Gunfleet Sailing Club’s Cadets and Otters eagerly took part in the third race of the SOS Class Points last Saturday afternoon 10 August. The wind appeared fickle, both in strength and direction, and the tide had just turned, creating a powerful ebb flow. First away were the Toppers and Robert Gutteridge got a good start, followed closely by Tommy Martin. Caught by the tide, further out to sea, was Ben Richardson who found the light airs and adverse affect of the tide, quite a handful; whilst Will Marsh and Harrison Smith just couldn’t stem the tide and were forced to retire. Yet again the Gunfleet Sailing Club’s Sailing On Saturday for Cadets and Otters was blown-off, with winds gusting up to 33 mph, but on Sunday 4 August it was a far happier scene that greeted competitors for the Club’s Potterer’s Pot; a race specifically for the owners of boats in the slow handicap fleet.